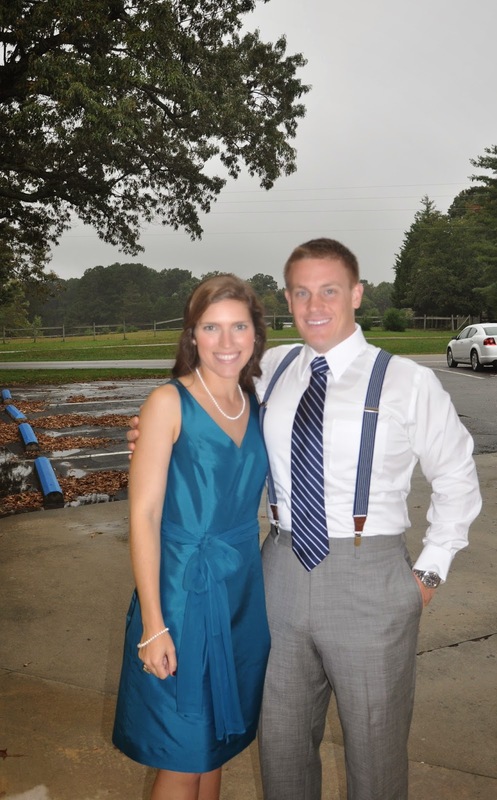 I was honored to be included in Katherine and Nathaniel's wedding on October 11. I have known Katherine and Caroline since elementary school when her family moved here. We could certainly call our friendship hand me down. This wedding was my third this fall (parts 1 and 2; shower here), and the whole weekend was so enjoyable. 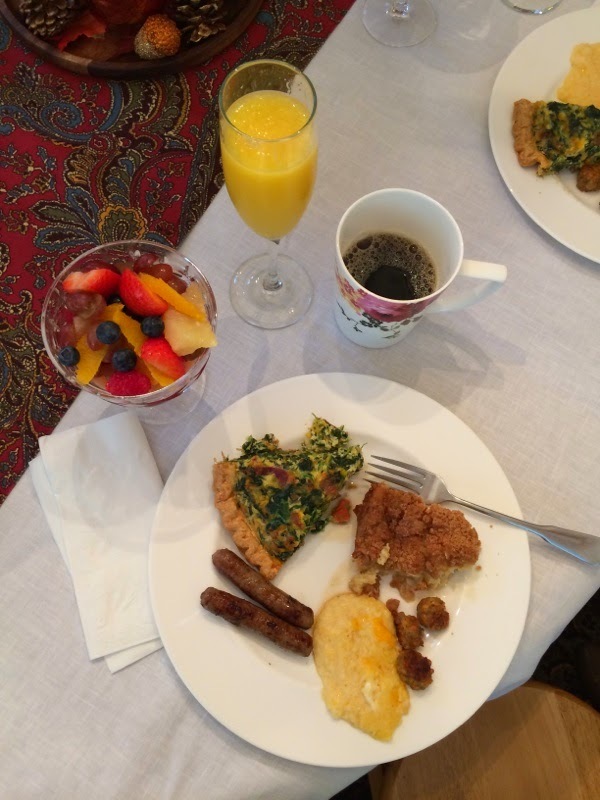 Katherine and her family are talented in the kitchen, and her mom treated us girls to a lovely brunch. I need this quiche recipe; it was the best I've ever had. 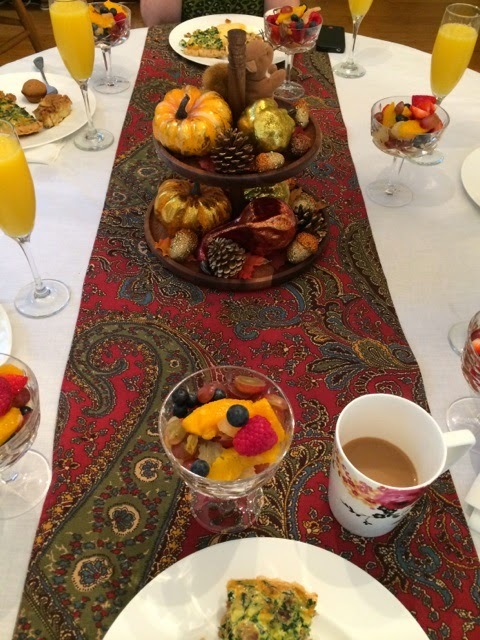 We had a sweet time over brunch and gifts. I am looking forward to using my new tea kettle, and I've already tried the delicious pumpkin tea Katherine gave me at her shower. 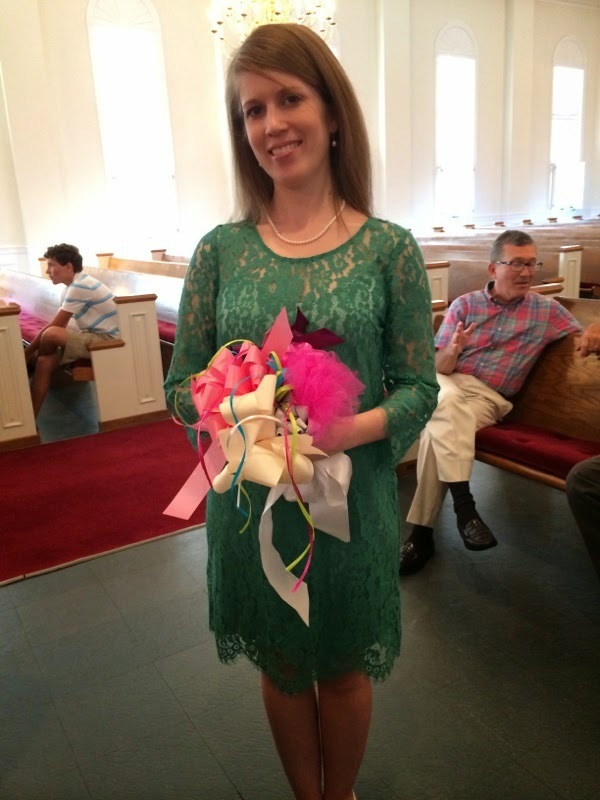 She's a beautiful bride, even with her tacky bouquet! I have had to explain this tradition several times lately, so I'll spell it out here. At a bridal shower (or more than one), someone collects the ribbons and bows from the presents to turn them into a bouquet. A bridesmaid, friend, mother's friend, etc. holds onto the bows for the rehearsal. Typically, we put them on a paper plate base, and we tape, staple, or punch holes and tie to attach the ribbons to the plate then make some kind of handle on the back. The bouquet goes to the rehearsal, where the bride uses it as a stand in for her wedding bouquet. I was expecting a reunion of old church friends, but instead, this wedding was a bit of a college reunion. Katherine and I lived together our sophomore year in college, and we were in a Bible study with other girls in our dorm. 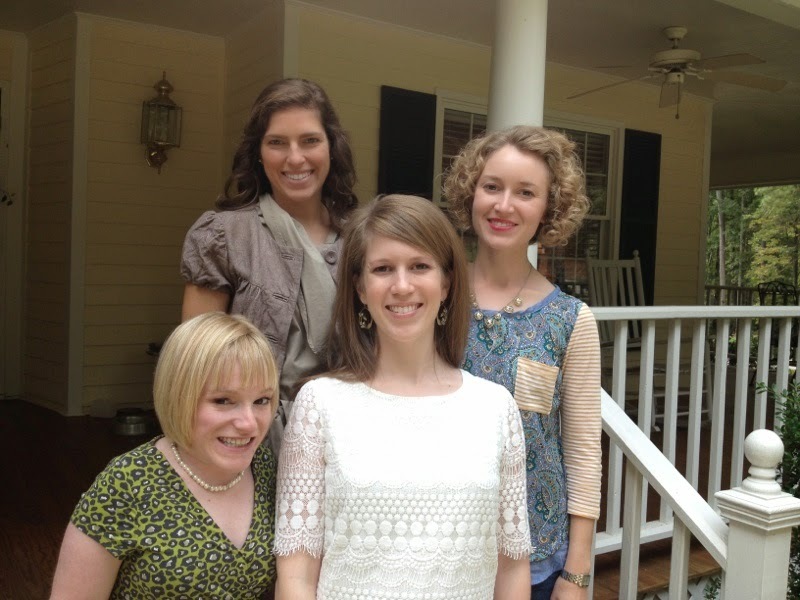 Two of the ladies above led our Bible study that year and the next. I enjoyed seeing Lacy, who braved Asia (1,2,3) with me over a year ago. My dress is Ann Taylor, pearls were a gift from my parents, and shoes are Nina, from Lindsay's wedding. I got to bring this handsome man as my date.